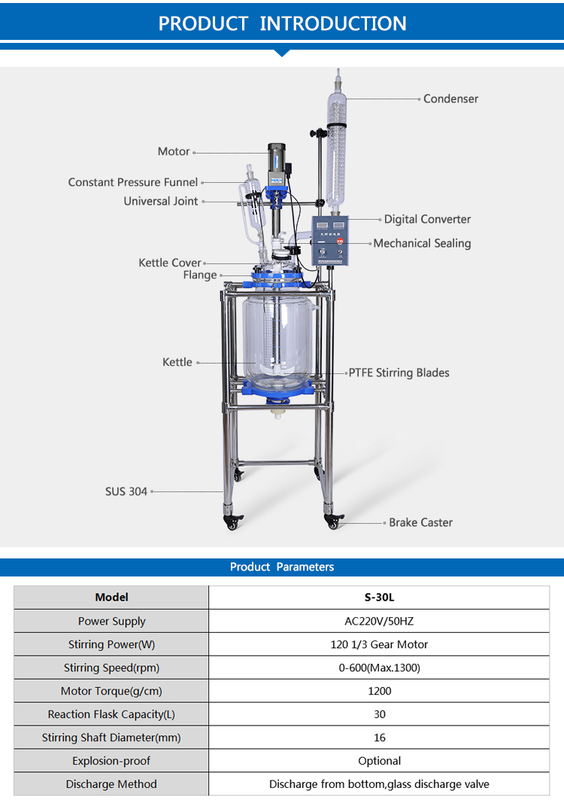 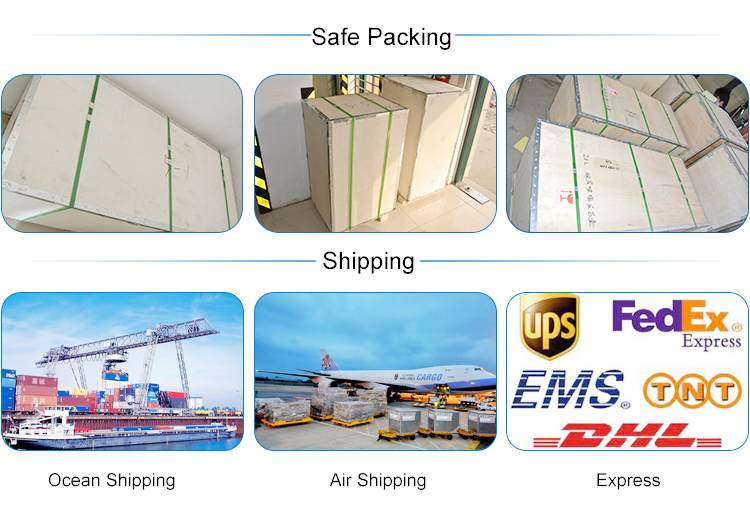 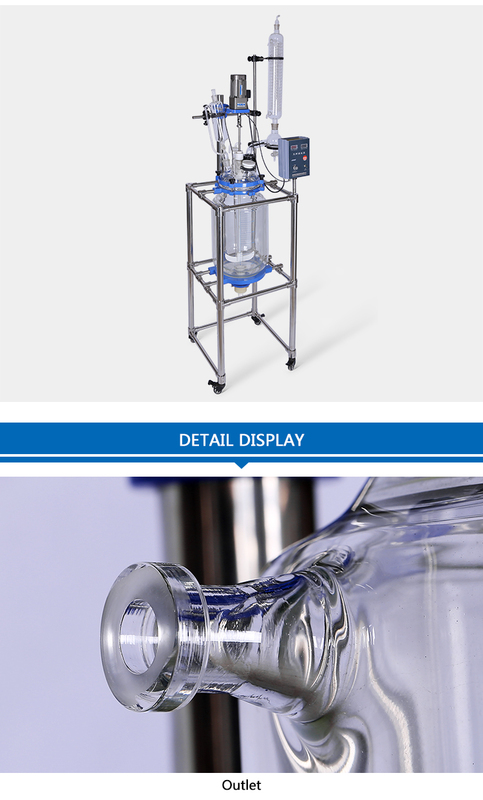 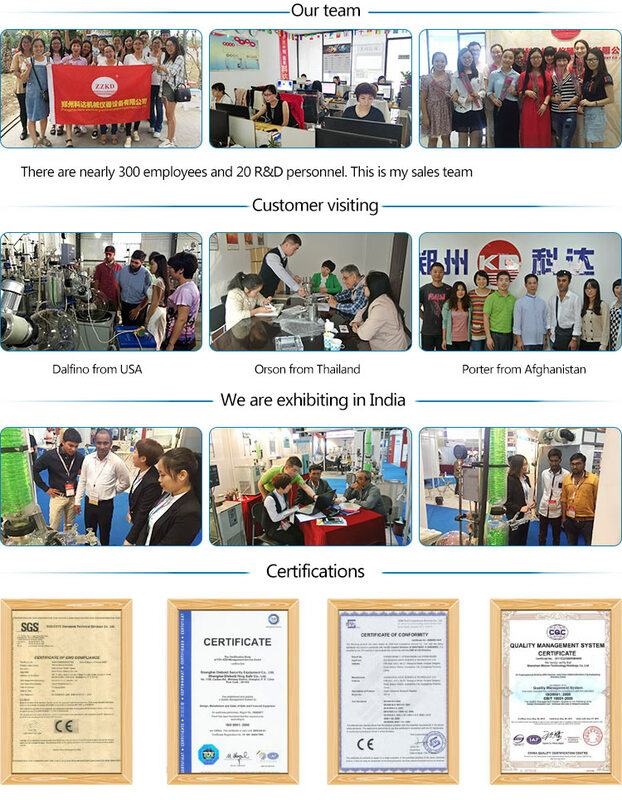 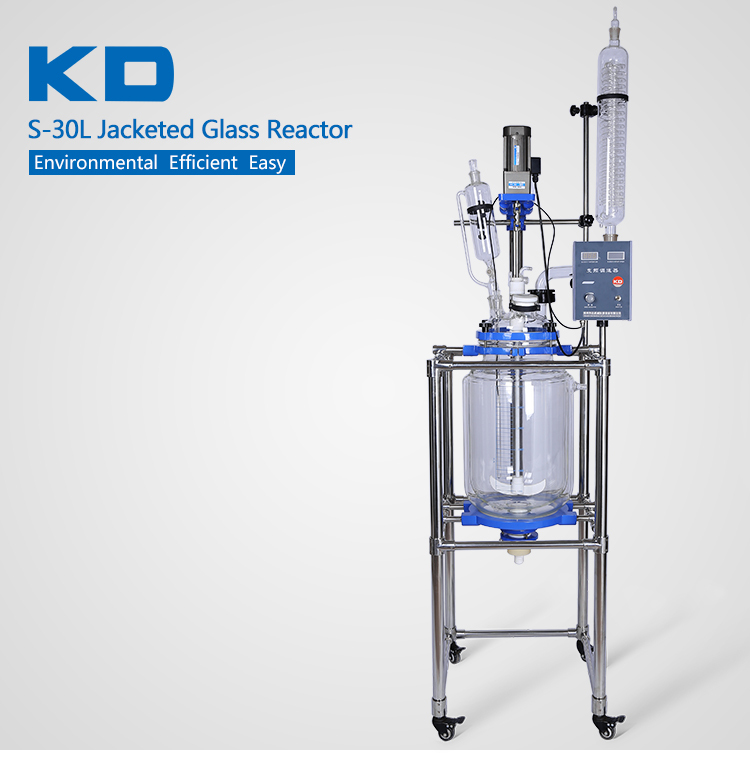 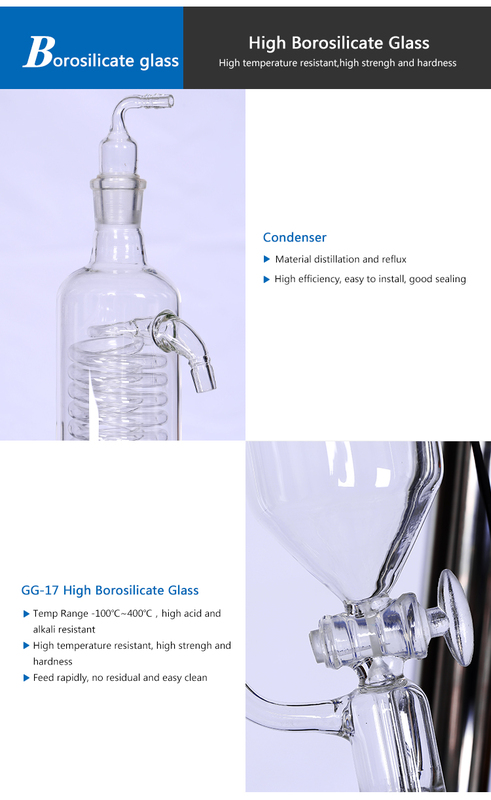 30L Jacketed Chemical Glass Polymerization Reactor are designed for synthetic reaction of different types of materials in a controlled temperature and vacuum environment. 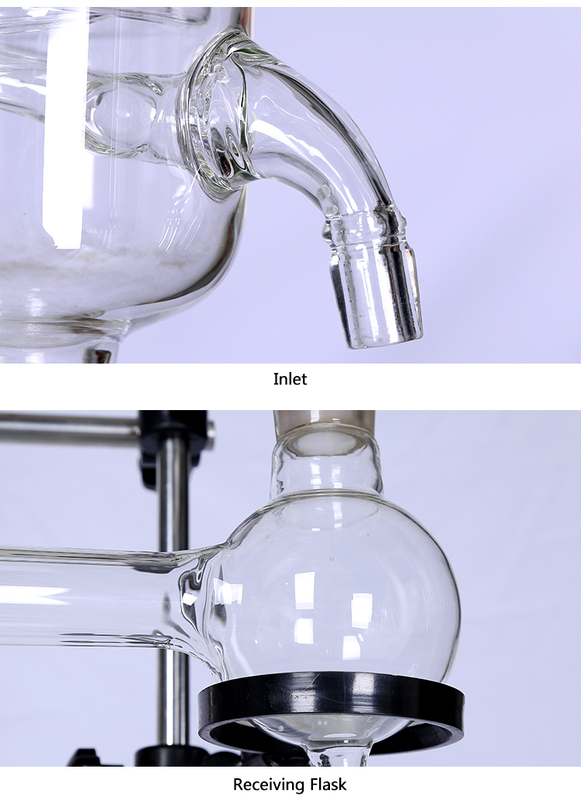 Each reactor features adjustable stirring speeds and a constant pressure feeding funnel that allows you to add material to the vessel at a uniform and controlled speed. 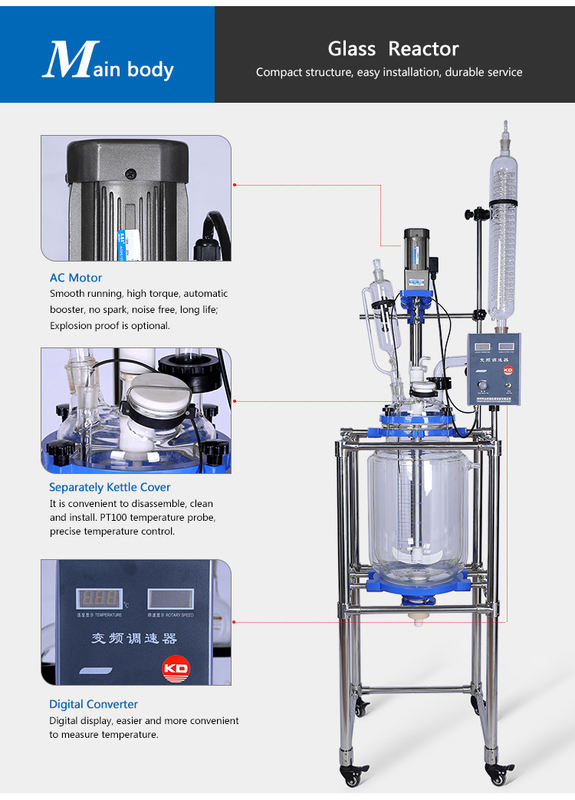 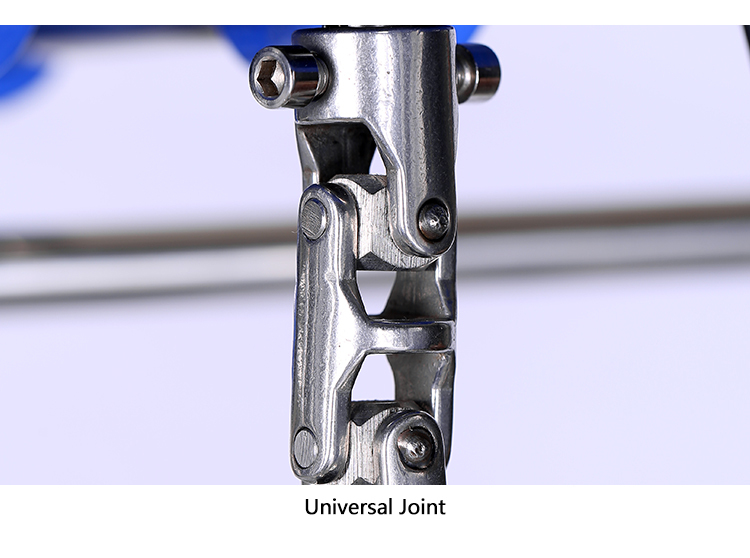 The built-in condenser makes it possible to recover some materials, also at a controlled rate of speed.